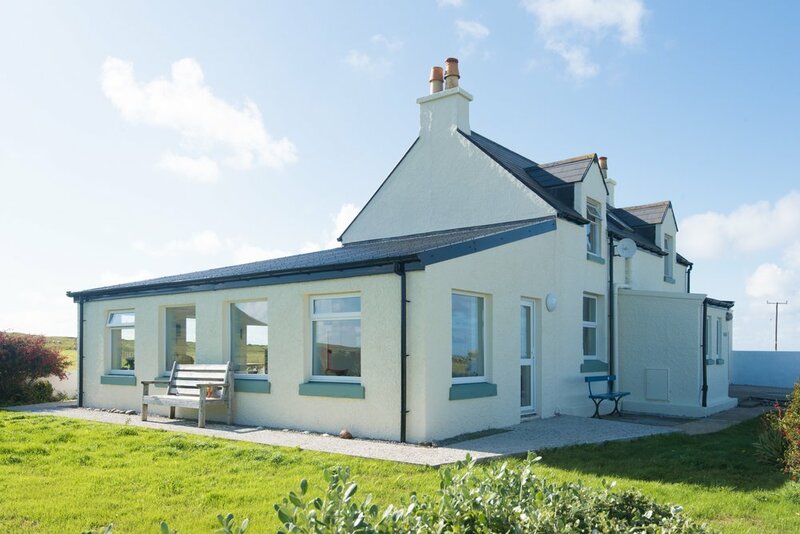 "Taking the decision to completely redesign and rebuild our holiday house on Tiree after nearly 50 years was not the easiest, our wider family had such special memories of the old house that any new replacement was always going to be a poorer substitute. Graeme [MacColl, CKR Island Construction] and Micheal [Holliday, Roots] worked patiently with us over 2 years whilst we moulded the new house and persuaded the next generation that we were creating a worthy successor. Graeme & Micheal’s relationship and deep understanding of the Hebridean environment were completely invaluable throughout the process. The environment dictates so much in terms of what is possible or indeed practical on Tiree…that we simply wouldn’t have started this project without them. "We are more than satisfied with the work undertaken by the Roots. From initial conceptual ideas and sketches, to full planning consents, building warrant, tendering and project management, Roots have demonstrated a meticulous attention to detail, extremely effective communication skills, and above all, a keen awareness and appreciation for our requirements as their clients. The completed project is everything that we hoped for, and fully mirrors the initial draft sketches and drawings. We have found that Roots are particularly skilled in negotiations with Planning and Building Control officers, which was very important to us, because of the potential problems that we may have encountered while negotiating a contemporary extension to our traditional dwelling. We would thoroughly and without hesitation recommend Roots to any organisation or individual looking for practical, high quality architectural advice." 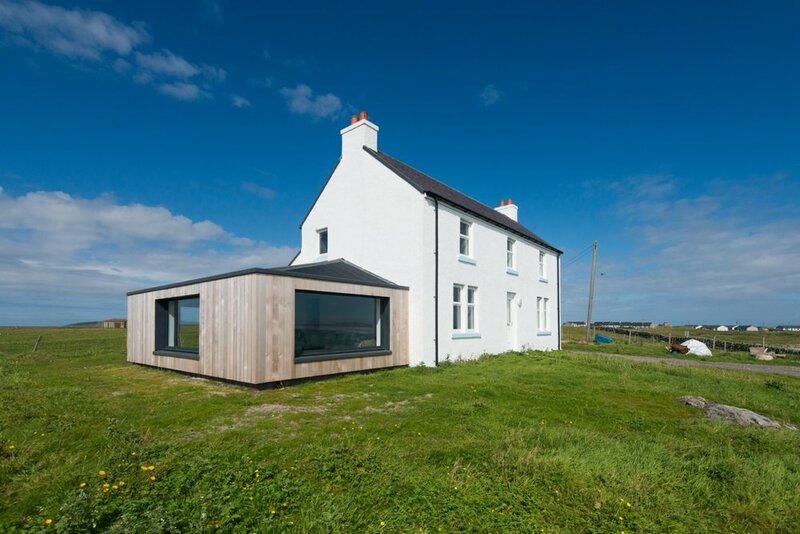 "Roots supported us throughout our project to enlarge our house on Tiree. We were particularly impressed with the efficient way Roots handled all the paperwork and details for the project, such as the applications for Planning and Building Warrants, liaising with the structural engineer and builders, as well as the application for completion certificate. Roots had up-to-date knowledge of all the regulations and good working relationships with the people involved. The best part of working with Roots was the frequent communication throughout the whole project. Phone calls and e-mails were always answered immediately and all matters were handled professionally and courteously. They were always a pleasure to deal with. "We were introduced to Michael and Lynne by our builder in Tiree when it became apparent that we would need to demolish an old extension and start again. We met with them initially and they listened to what we were looking for in our new build then transferred our thoughts to a series of drawings for us. Throughout the process of planning we felt fully involved and in control of the aesthetic of the end result, despite the fact we were communicating often via email. Micheal and Lynne completed all the planning applications etc for us and all went smoothly with no hiccups. We are delighted with the final result and with the way Micheal and Lynne liaised with the builder to complete the build. We would have no hesitation in recommending the Roots team to anyone wanting to plan for building in the challenging environment of The Hebrides." "We initially met Roots at the Housing Expo Exhibition in Inverness in 2010. We had a building that was in a derelict state which we wanted to make into holiday accommodation but keeping the traditional exterior and footprint but making the interior the real wow factor. Roots came up with some fantastic ideas and we went with one of those. Roots helped us put together a very strong application not only for Planning but also for the SRDP Grant application that we were also putting in for. We have found Roots to always be clear and up front, there have been no financial surprises and all in all we have found the whole process stressless and seamless"
"Roots supported us throughout our project to build our new home on Tiree. We would like to thank Roots for all their help, patience, advice and attention to detail. They have certainly helped make our dream come true. We are very happy with our lovely home and would recommend using Roots to anyone." "Demolishing a work shed at the back of a garage that had long passed its sell by date was not too difficult a decision to make. But what to use the space for? I knew I wanted to possibly take advantage of raising the site to view the beach and I also wanted a wonderful view of the sun setting to the north in the summer over the Outer Isles. What to do – bring in Roots Architecture and the design from Lynne and Micheal. They soon designed a lovely space together with a glass surround balcony on the roof. Their understanding and architectural expertise soon came up with a design that yes is new in Balevullin Beach, but also sympathetic to the environment. Their knowledge of what would be accepted by the planners and what would fit in with the environment is excellent. I am so pleased with the outcome. Together with Graeme MacColl (CKR Island Construction) they have given our home in Balevullin a new lease of life with the two projects that have been completed. We now can see the beach well and the summer sunset too from this project and it might just be used for something more than a coffee?" "Demolishing this room on the side of the house (that had been up for 45 plus years) was a big decision but once made we were on a journey. Lynne and Micheal from Roots were excellent to work with on this journey. Apart from their architectural expertise a major benefit I found was their understanding of the environment of Tiree, the logistics of building in a remote place where the weather has a major influence on how you do things, designing a room that would fit in with the environment and landscape together with what the planners will accept etc. and all within a planned budget. Together with builder Graeme MacColl (CKR Island Construction) I was encouraged though to think bigger and also think about the 21st Century use of family space. Working together with me the project has now been completed and I am delighted with it. The design is great and it’s been built to a high spec. What a difference this has made to our home in Balevullin. I am so pleased that I went on this journey with Lynne, Micheal and Graeme." "We approached Roots and asked for their help in renovating an old ruined cottage that we owned on the Island Of Tiree. We already knew one of the Directors who is from Tiree and we thought that it would be good to support a local and newly formed company. We also knew that Roots had carried out other projects on Tiree and that they were gaining a good reputation for their design work. Roots carried out an initial survey of our buildings and within weeks they had come up with various interesting designs for converting the property. Nothing was ever a problem for them and for our convenience all our planning meetings with Roots were held in Edinburgh, where we stay. We quickly decided on the design that we preferred and Roots very quickly applied for planning which was approved in the usual local council time frame, building warrant was then applied for and was granted after several months. Due to the fact that we were carrying out a renovation and we were keen to keep the Black House style, it was sometimes difficult to comply with all the building regulations, but due to Roots experience in this style of building and their good working relationship with the local planning office, all building warrant issues were quickly resolved. The renovation is now well under way and should be completed by late Spring. During the renovation Roots have remained involved in a consultancy basis and they have been more than happy to help out when the builders have needed guidance or extra drawings. No matter when you phone Roots you always get a good West Coast welcome and you can guarantee that they will always resolve any issues within days of your enquiry. We’re confident their business will continue to flourish and am sure our newly renovated black house will be a good advert for Roots"
"I recently had a sunroom added to the back of my house. Roots took care of everything - all the paperwork, site visits - everything! I was [and still am] delighted with the finished result: Roots provided a first-class service from start to finish and I would not hesitate to use them again." "It was a pleasure working with Micheal and Lynne on the rebuilding of Mialum’s porch. We wanted to keep things simple and they helped us to do that brilliantly. The result preserves the straightforward integrity of the original building whilst giving us the extra space that we needed. It is an aesthetic and practical triumph." "We appointed Roots for full design and project management services on the refurbishing our tenement flat in Glasgow. Having listened to all our requirements they have researched products suitable for a one hundred year old property and we have taken up their recommendations throughout. A good example of this was when they arranged for samples of the original plaster to be analysed by the Scottish Lime Centre Trust to ensure we could safely use a natural ‘breathable’ insulation. They have minimised the hassle factor for us as we are remote from the project, whilst keeping us up to date on all the developments in design, permissions, appointment of contractors etc and we felt confident that the project was in safe hands." 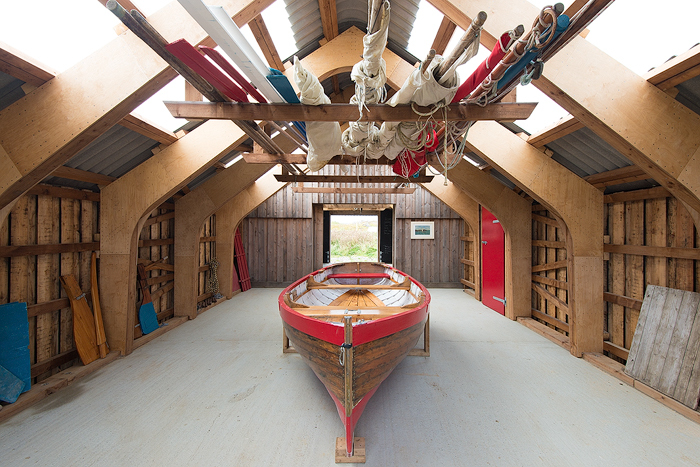 "The partnership with Tog Studio [Roots} enabled Tiree Maritime Trust realise our goal of building a boathouse. The innovative way of delivering the project by working with the local community and hosting an architecture summer school made the project possible financially. The Boathouse project has helped to secure the future of Tiree’s unique maritime heritage by revitalising community interest in sailing and providing a dedicated space for boatbuilding, restoration and sailing events."